You may be thinking…Epic? Really?? I talk a lot on this podcast & website about growing edibles as ‘ordinary’ landscape plants because that is how I have always grown my own food. That really is the key to creating a food landscape that is as beautiful as it is delicious. And your finished design can be any style you want! But when you go to grow your food this way, there are things that might trip you up. Especially if you have never designed a garden like this before. Well to help you with those road blocks, I brought on someone I know you will love. 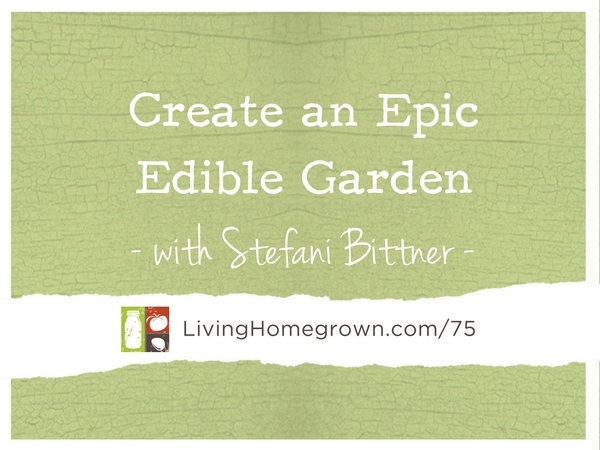 For this episode, I interviewed edible landscape designer/author Stefani Bittner to share her favorite tips and tricks. 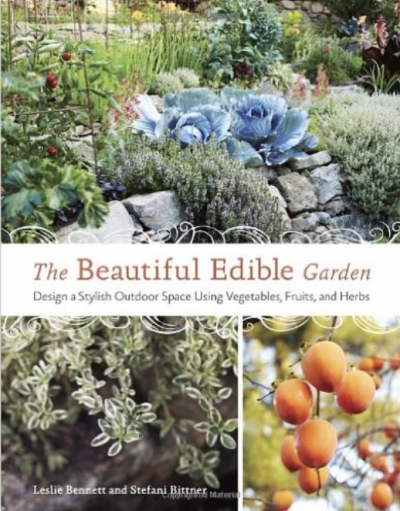 She walks you through some important considerations for transforming your garden AND offers up a heavy dose of inspiration to boot – So that YOU can create an EPIC food garden of your own. On this podcast, I try to share the best information possible from the best people I can find. Stefani Bittner is one of those people. She is top-notch in her garden design work and has a flair for thinking outside of the box. Her team offers a unique and sophisticated approach, using both organic farming and fine gardening skills, for people who want help creating aesthetically designed, organic edible gardens. Stefani is the co-author of The Beautiful Edible Garden (Ten Speed Press, 2013) and her new book, Harvest, will be released by Ten Speed Press in February 2017. Homestead provides design, installation, and full-service organic maintenance, harvesting, bee keeping, floristry and composting services. One of the coolest projects Stefani has completed is the design and install of new Test Gardens for Sunset Magazine. You can see the WHOLE thing in the October 2016 issue of Sunset magazine – which is on the newsstand as this episode is released. Stefani’s work has also been featured in San Francisco Chronicle, Sunset Magazine, C Magazine, Los Angeles Times, Better Homes & Gardens and more.